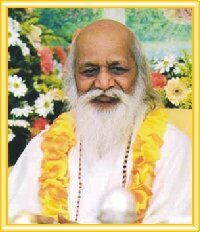 The International TM movement was founded by Maharishi Mahesh Yogi, in the year 1957. Maharishi is one of the most renowned scientists in this age. He introduced the Transcendental Meditation Technique, and more than five million people have learned the TM technique all over the world. The Maharishi International Movement is one of the largest educational, independent, non-profitable organizations in the world, established in almost every country. Maharishi has a major participation in raising the level of the world collective consciousness, which results in the reduction of the negative trends for several times in different parts of the world. Also, Maharishi has a major contribution in the modern scientific discoveries. He founded a new science, the science of consciousness, and he named it the Science of Creative Intelligence. He participated in the discovery of the Unified Field theories, and the discovery of the Constitution of the Universe, and the latest discovery of the Natural Laws in the Human Physiology. Also, He revealed the ancient Vedic Science with all its different aspects. In this, Maharishi is opening the gate very wide, in the face of humanity to reach to the ultimate reality. This ultimate reality will soon, be reached through both objective and subjective approaches, and all the different systems available now in the world, and on all levels; educational, scientific, social, religious, political, philosophical, etc. will reach to their fulfillment, and then the age-old differences between science, religion and philosophy will be eliminated, and thereby the world will reach to unity, and heaven on earth will be lived everywhere. This is the purpose and this is the goal of the Maharishi TM Movement.